If you’re looking for a quick snack when you’re in a rush, a smoothie is one of the best ways to make a healthy choice. This smoothie is quick, budget-friendly, and something even young kids will love. 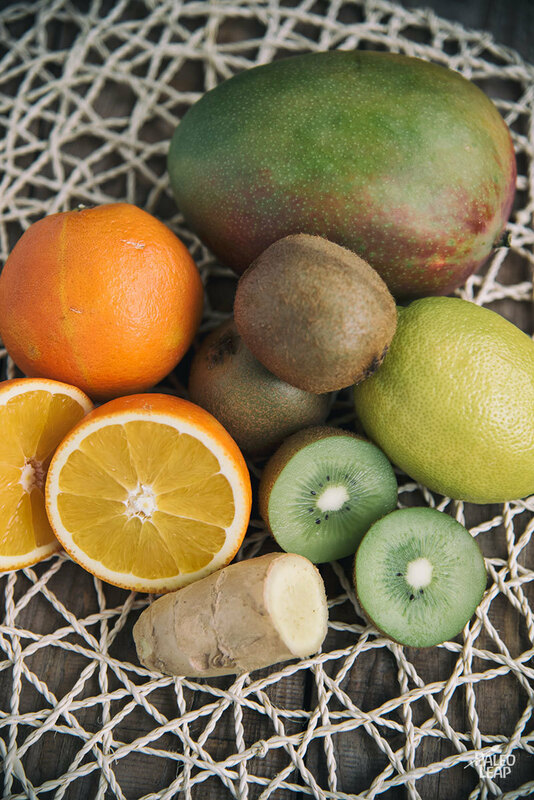 It uses some of our favorite citrus fruits – oranges, mangos, and kiwi – without adding dairy, which is great for people who avoid using this in their diet. You can scale up as needed – the ingredients below will result in 2 small smoothies, but you can increase your ratios if you are planning on serving more than two people. In addition to the more common ingredients in this recipe, you’ll see a few others that you may not have experience prepping or have included in smoothies before. The first is ginger – a super-healthy ingredient that will add a bit of spice to the drink. The second is mangos – these are a delicious fruit, but can be a real pain to prep correctly. First, make sure you are using a ripe mango – the flesh should give a bit when squeezed (a firm mango is not your friend and needs more time to ripen). When you cut your mango, remember that there’s a long, hard seed in the center of the fruit – you won’t be able to cut through this, and it can make it hard to correctly remove all of the flesh. Our favorite method for cutting a mango properly is to cut it in thirds from the top of the fruit to the bottom (try to feel for the seed in the center while making your cuts). Then, lay down the center piece with open flesh on the top and bottom and make two more cuts on either side of the seed to get the most fruit. 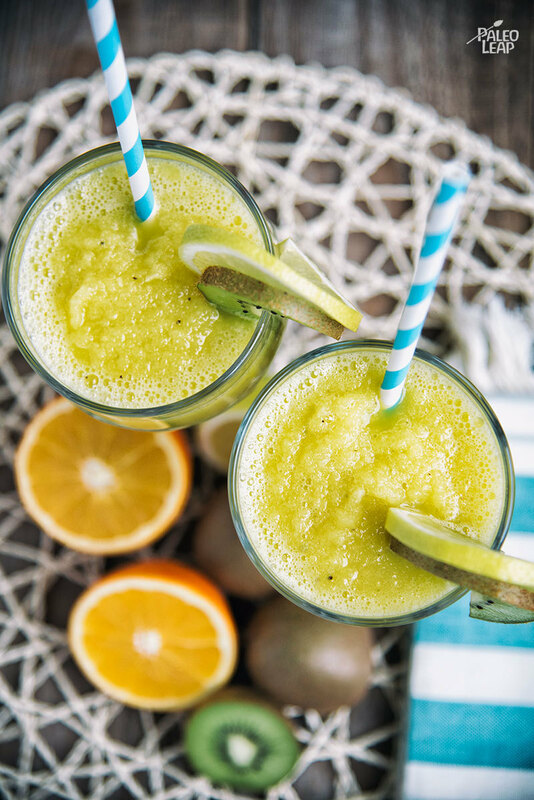 Serve this smoothie as is, or divide into an ice-cube tray and freeze with popsicle sticks in the middle of each for a fun, home-made popsicle treat! Cut the kiwi and mango into big chunks and place in a blender. Add the orange juice, lemon juice, and ginger to the blender. Pulse until you have a smooth mixture. If the mixture is too thick, simply add more orange juice to your preference. Serve with fresh fruit slices.